Dr. Nager is a general dentist with a special interest in Oral Conscious Sedation Dentistry. Conscious Sedation offers a relaxed, safe, pain-free experience through the use of oral medication taken the night before and the day of treatment. By offering this alternative to conventional dentistry we are able to provide a perfect solution for patients who shy away from the dentist due to anxiety or time constraints. Dr. Nager has completed the Pan Mass Challenge 15 times. This bicycle ride starts in Wellesley and finishes in Provincetown. 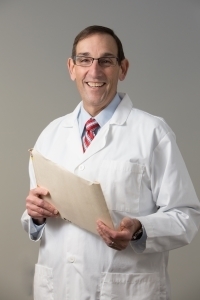 Over the years, Dr. Nager has raised considerable amounts of money for the Dana Farber Cancer Center. Dr. Nager’s passions are bicycling, cooking, and teaching. He is enormously proud of his wife, notable author Diane Renn, and their 11-year-old son, Gabriel. Helping dental students up the ladder is a great joy. Mentoring new dental graduates is enormously satisfying. But what really makes me swell with pride are all the people I work with that may have started with no dental knowledge and are now important, educated professionals. Dr. Nager strives to aid in the development of young dentist, hygienist and dental assistant to inspire them in their career. After all, you want to make a positive impact on the lives of people around you. The greatest asset an individual can have is a sense of humor – including about themselves. Living without a sense of humor is more limiting than any physical challenge.